You can say I'm a newcomer to Tempt. I've always seen pints of Tempt Ice Cream in the stores, but I just never took the leap and bought one. Hemp as a base ingredient is interesting to me, so it was just a matter of time. Recently my Whole Foods had a sale on the new Tempt Ice Cream Bars and I decided enough is enough and bought all four flavors. 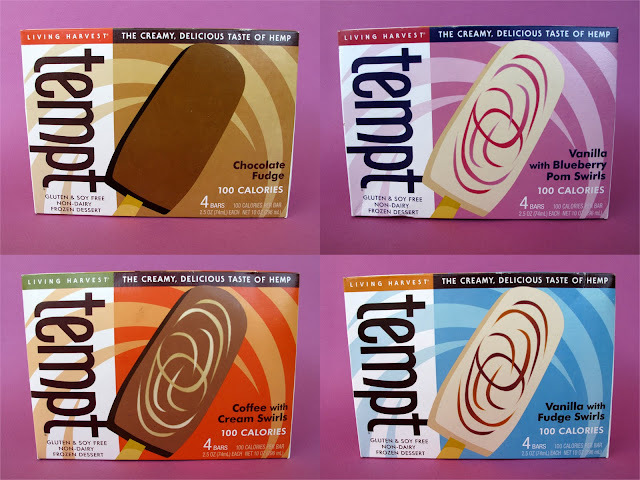 The different varieties of Tempt Ice Cream Bars are Coffee with Cream Swirls, Vanilla with Blueberry Pomegranate Swirls, Chocolate Fudge and Vanilla with Fudge Swirls. 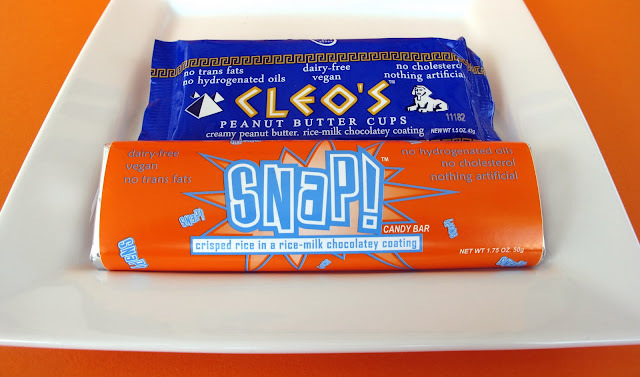 One of the claims on the packaging is that each bar is only 100 calories. If you've followed this blog for any length of time you know I'm not a calorie counter, but for the people that are I'm glad this bar is an option for you. Also the bars are also relatively low in fat. Out of the four bars, Vanilla with Fudge Swirls was my clear favorite. It reminded me a little bit of old school Jello Pudding pops. Delicious vanilla mixed with sweet fudge, I'm going to make this a regular purchase. The Chocolate Fudge was my second favorite. Nothing mindblowing but it was a really solid fudgesicle. Next was Vanilla with Blueberry Swirls. 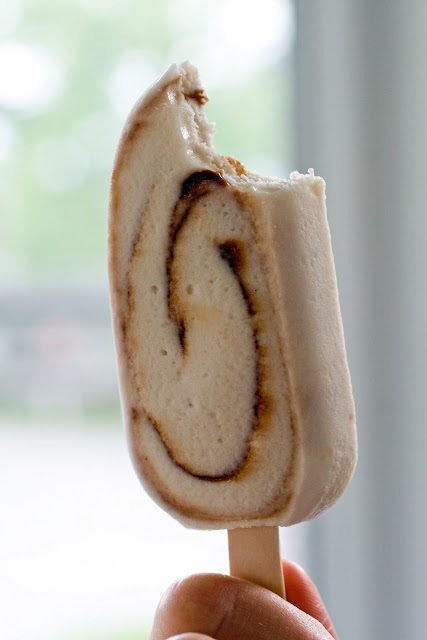 Similar to the Vanilla Fudge Swirl bar but replacing the fudge for blueberry. It was good, but I felt the berry flavor kind of clashed with the vanilla flavor. And last on my list was Coffee with Cream. I'm not a coffee person at all but I will say that if you love coffee then you will absolutely love this bar. So in closing, I think the Vanilla and Fudge are to die for and the rest are good, depending on your personal taste. I think it's fair to say that I'm an Amy's Kitchen fan. 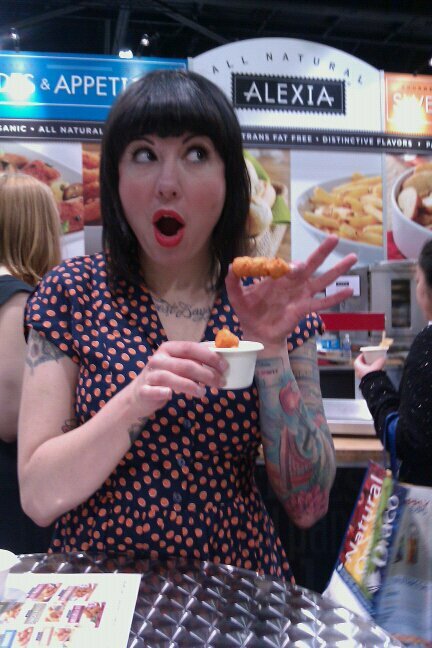 Except for their new-new stuff, I've had all of their Vegan offerings. 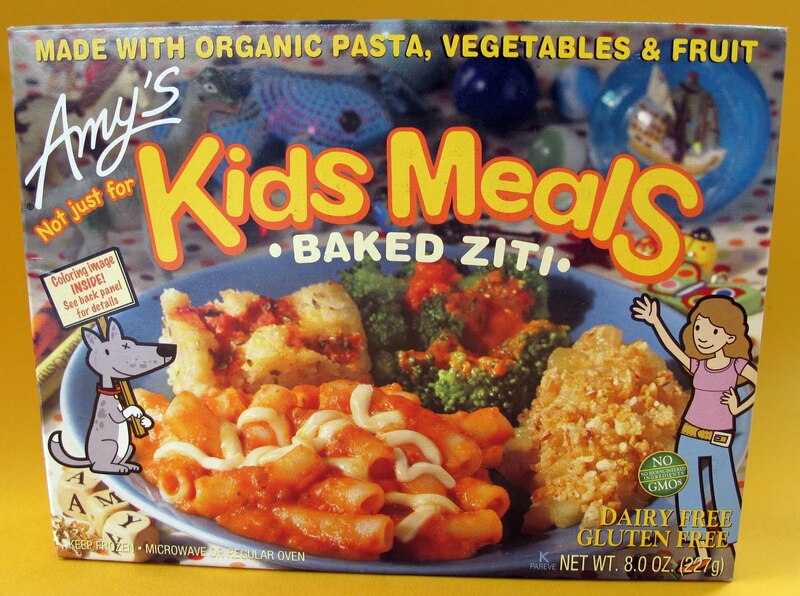 The one thing I know I've never had is their Baked Ziti Kids Meal. My local Whole Foods has had them for a while so I decided enough is enough. After all, I'm a kid in a 32 year old's body. So you may already be familiar with the Baked Ziti from the grown up version. It's just as good here with its Vegan mozzarella, sweet red sauce and tasty noodles. 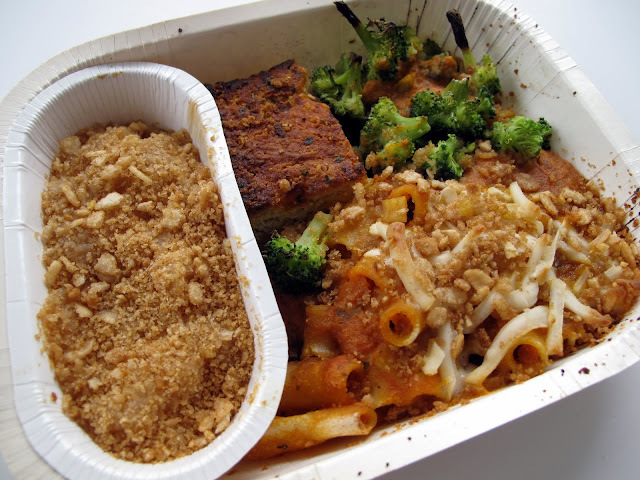 Joining the ziti is broccoli, rice focaccia (aka bread) and apple crisp. While the apple crisp was delicious, the bread and broccoli were just ok. This is most likely due to my dinner being a tad overcooked. That's because I used the oven when I would normally use the microwave. For a Kid's Meal I found it a little complicated to cook the bread separate. Maybe it's me just being lazy, but I can't imagine a kid microwaving the dinner according to the directions. Barring the harder than usual directions, the Amy's Baked Ziti Kids Meal is an excellent Vegan choice for your little munchkin. And I saved the best part for last! 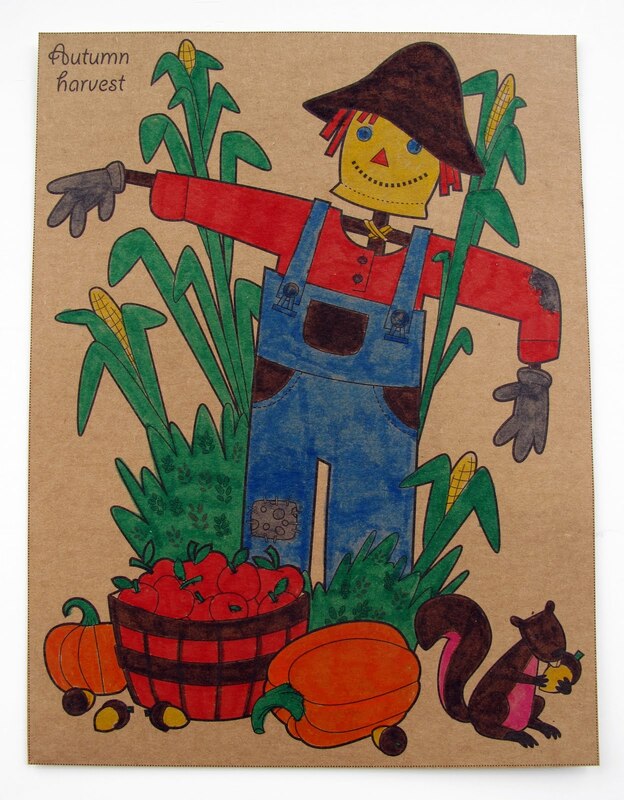 Look at the inside of the box and you'll find a coloring page. In my case, there was a scarecrow. Watch out for brown and pink squirrels raiding your garden, for real. I asked the Laziest Vegans Facebook page for suggestions on what to use with my recently purchased Pepperjack Daiya Cheese. 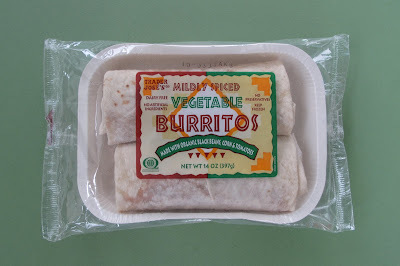 Trader Joe's Vegetable Burritos was one of the suggestions. I've never bought the burritos before (or even noticed them for that matter) so I pretty much had to pick them up. I made this a couple days ago and it was delish! First off, the burritos were excellent. 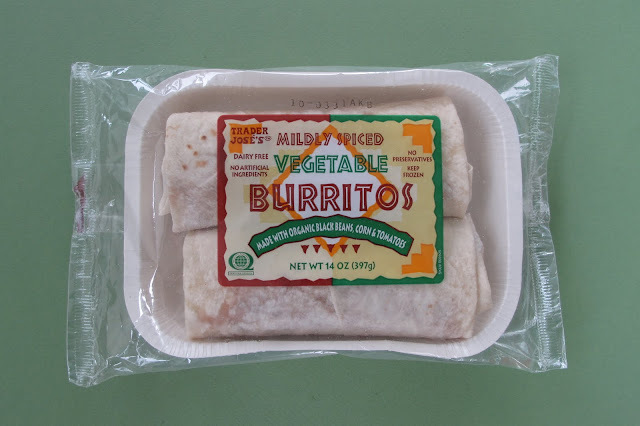 I have to wonder if they are actually Amy's burritos in Trader Joe's packaging. They come two in a package so you have to be really hungry or you are going to have left overs. But it's nice to be able to cook them in the tray and not have to wrap them in paper towels. Taste-wise I found them spicy and very beany. 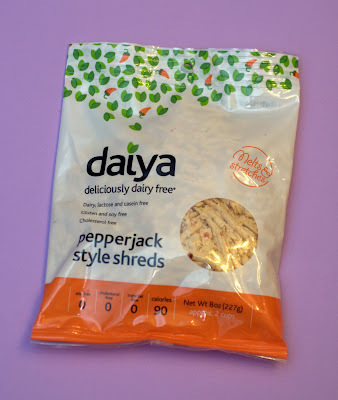 I've been a Daiya supporter from the start and I'm happy to see them branch out to new flavors. The Pepperjack tastes like a spicy version of the Cheddar to me. I microwaved the Daiya after the burrito was already cooked and it melted just fine. It tasted great on the burrito! I'm sure it would be a great addition to tacos or nachos too. I've been anticipating the new candy bars from Go Max Go for some time, and was I elated when they arrived a couple days ago. Snap! is comparable to a Nestle Crunch and Cleo's is a Vegan relative to the Reese's Peanut Butter Cup. I'm really excited to see what Go Max Go comes up with next. Now comes my favorite part...snack time! The Snap! bar faithfully retains the Nestle Crunch's signature crunch with ease. Yummy rice milk chocolate you've come to expect from Go Max Go, plus crisped rice. Snap! 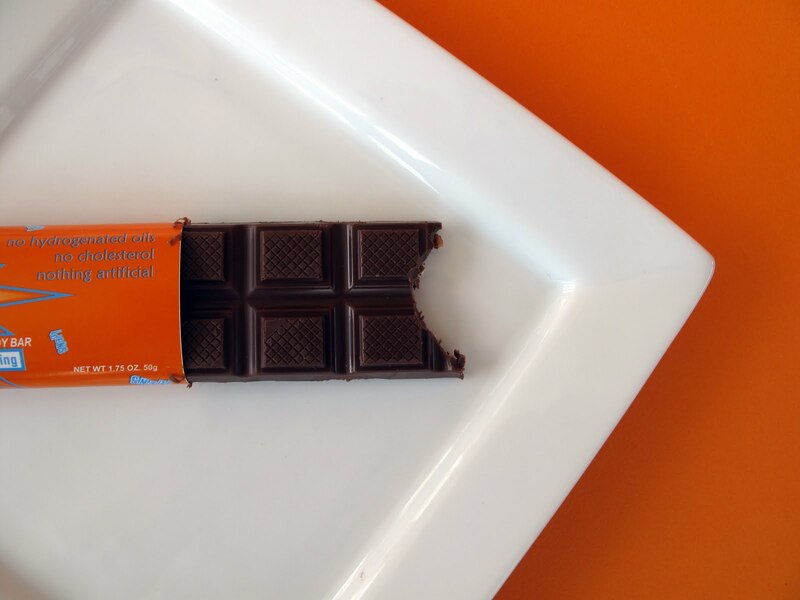 easily breaks into nice square pieces so you can share, if you're feeling generous. Nomz! 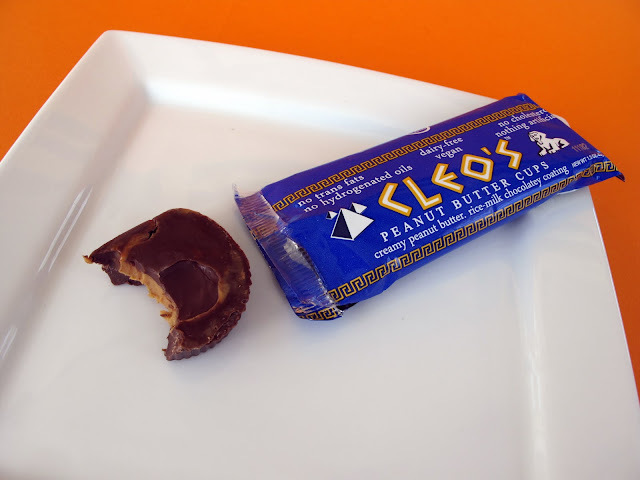 Cleo's emulates my childhood favorite, Resse's Peanut Butter Cup and does so without a hitch. Splendid PB and chocolate in a two delicious cups. When I got them in the mail from Cosmo's Vegan Shoppe I noticed the cups were a tad mushy. All you have to do is throw them in the freezer for an hour or two and they're fine. I'm going to go on record and say these are my favorite Go Max Go bars and I can't wait for what's next! And last but not least, congrats to Belinda Morris of Melbourne, Australia. Belinda won the Laziest Vegans Facebook contest for the person who lives the furthest away from me (over 9200 miles!). She won a free Snap! and Cleo's bar. Enjoy, Belinda! Look for more contests on Facebook in the future. This month's Laziest Vegans Top Ten shines the spotlight on Vegan luminary Melisser Elliott. Melisser is the author of The Vegan Girl's Guide to Life, creator of the blog The Urban Housewife and the face behind the website Cruelty Free Face. Recently she even found the time to create a Twitter account specifically for Vegan questions called Vegan Answers. And last but not least, Melisser is from the Bay Area and her Dad loves the Oakland A's. Oh, and she worships Morrissey. Now that's my kind of bio! Without further ado...I present you Melisser Elliott. What is your favorite veggie burger? I'm not much of a veggie burger gal, although the new Gardein burger is good. I'd rather eat the Crispy Tenders! 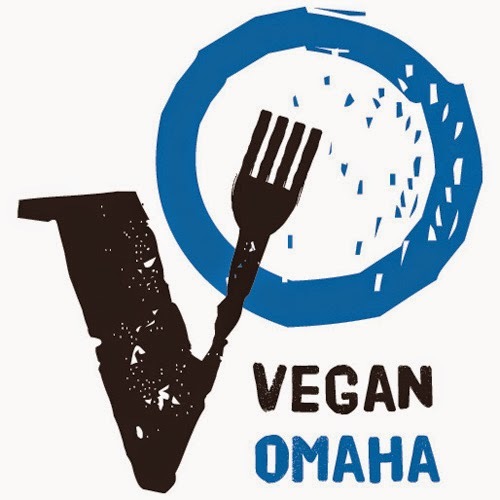 I was a tester for Joni Marie Newman's "The Best Veggie Burgers on the Planet", so that ruined most store bought options. I can get down with an Amy's Tamale Pie.. but I suppose the answer would be Gardein Crispy Tenders with some dipping sauce like spicy mustard. Anything from Lula's Sweet Apothecary, Tempt Vanilla Bean, Temptation Cookie Dough, or Limetta Eis from Tanne B in Berlin. Ice cream is my favorite food. Mr. Krispers Sea Salt and Pepper Rice Crisps, they're always gone in one sitting. Trader Joe's Wheat Crisps and EcoPlanet Vegan Cheddar Crackers are great as well. Flax Plus, I know, not that exciting, but I miss it here in Europe. We do have vegan Cinnamon Toast Crunch though, called CinnaMinis, no added D3! Manner Schnitten!! I can DEVOUR these. I'm also not afraid to throw down on a Go Max Go Jokerz bar! I think I'm going to have to go Uncle Eddie's Chocolate Chip, if I have to pick one, or maybe, Candy Cane Joe Joe's. I prefer to make my own! 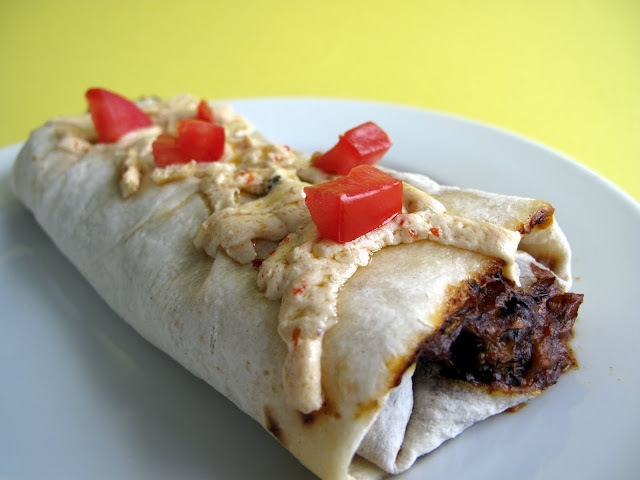 Tortillas, Cilantro Jalapeno Hummus, and Pineapple Salsa; to eat together, of course! Can I have some fire to warm it up too? I would say Peeps, but Dandies made that happen! How about Angel Food Cake, the gnarly kind you buy at the supermarket that sticks to the sides of the plastic tub. 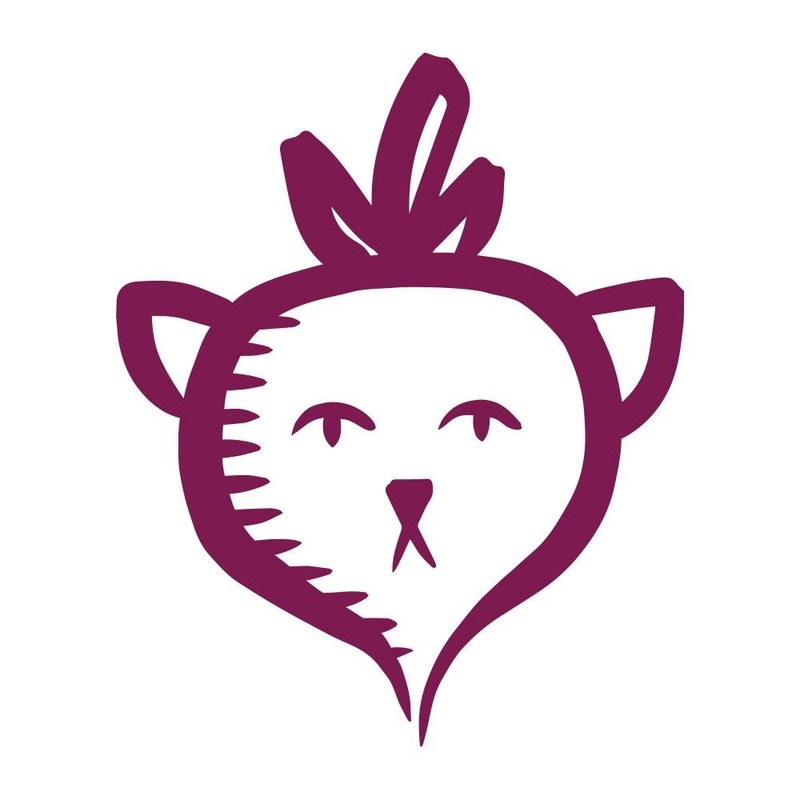 Veganz supermarket in Berlin is the mecca of all things vegan and delicious. Online, I appreciate that Vegan Essentials ships overseas. My fave American shops are Food Fight and Cosmo's Vegan Shoppe though! And that concludes The Laziest Vegans Top Ten. Thanks Melisser!